We are getting ready to welcome a new food entrepreneur into our business incubator, the Revolving Test Kitchen (RTK). RTK is a collaboration between Lupoli Companies, the city of Lawrence, The Lawrence Partnership, Northern Essex Community College (NECC) and EParaTodos/EforAll. 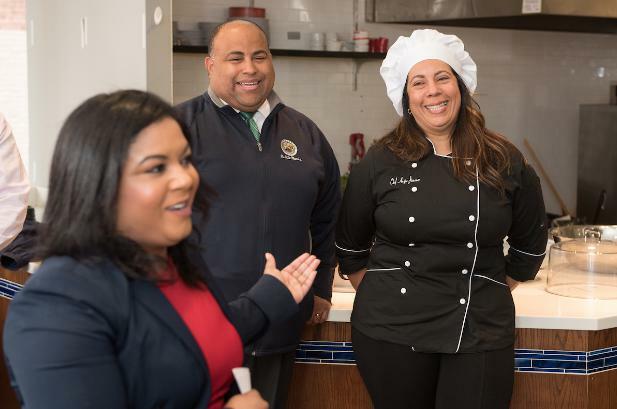 “The Revolving Test Kitchen was created to provide food entrepreneurs with a special opportunity to test out their ventures, but it also serves as a fresh way to add to the city’s economic vitality,” says Sal Lupoli, President and CEO of Lupoli Companies. The first local business to operate out of RTK was the taqueria borinquen, Coco Ray’s. And after another rewarding year in the downtown Lawrence location, it’s time for Danny Torres, owner of El Encanto BBQ, to pass the torch to a new chef. “This is a great opportunity to grow as an entrepreneur and really be successful,” says Danny Torres. The new restaurant start-up to benefit from the program is Bocaditos. Focused on bringing a delicious, and healthy, homemade menu to Lawrence, longtime resident, Angie Jimenez is using locally sourced food to connect with the neighborhood. Get ready to experience her delicious take on plantains, sandwiches, homemade chips and so many more dishes on the breakfast and lunch menus—plus enjoy the variety of brews at the coffee and tea bar. It’s all available now at Bocaditos located in the RTK, 420 Common Street, Lawrence. 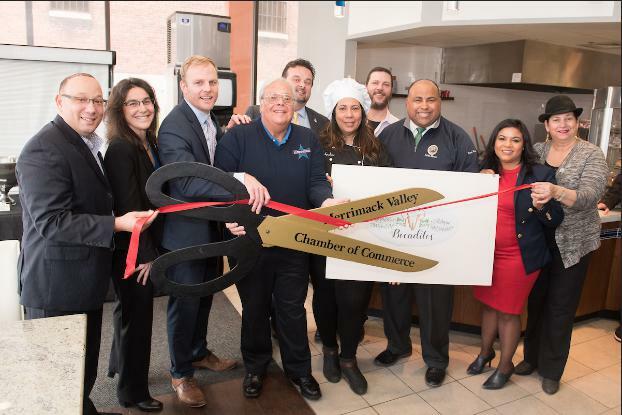 During their tenure, businesses will be provided with use of the commercial kitchen, exterior signage, and preferred catering access for Northern Essex Community College and Lawrence Partnership functions. After the incubator period is complete, the partnership will help establish a permanent location for these startups in downtown Lawrence, providing free technical support to identify space, negotiate leases, and build a growth plan. Additionally, RTK tenants will contribute monthly to a savings account during their tenure, 100 percent of which will be returned to them to fund their new location. Downtown Essex Street is where Im guessing, in Lawrence.